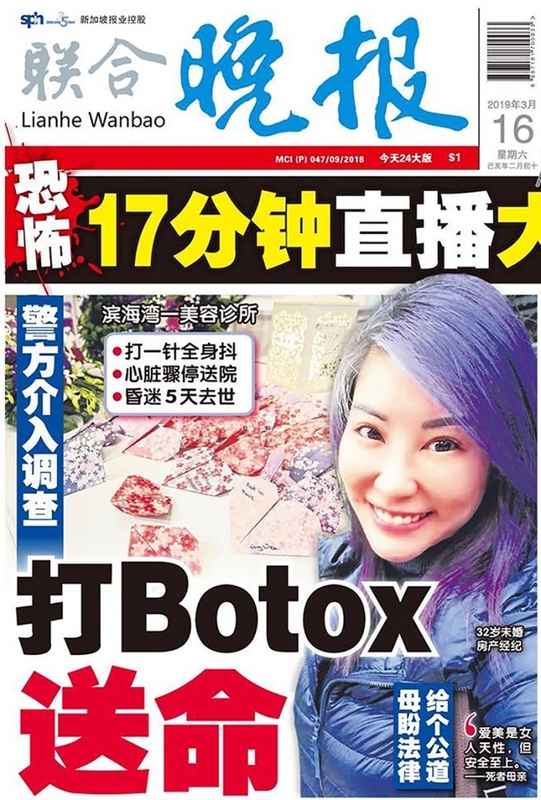 Recently, a Chinese newspapers in Singapore reported that a 32-year-old lady died from Botox injections. Subsequently, many other newspapers and websites reported something similar. Following the news, I have been asked these questions daily over the last few weeks. Almost all my patients who visited me have asked me about this incident. My family, friends and doctor colleagues have all reached out to me to ask me if I knew what happened and if Botox could kill anyone. I even got text messages and calls from people in Malaysia and Indonesia about this. I am going to answer these questions in this post once and for all. Before we go on, we need to be clear that the term “Botox” generally refers to Botulinum toxin A. 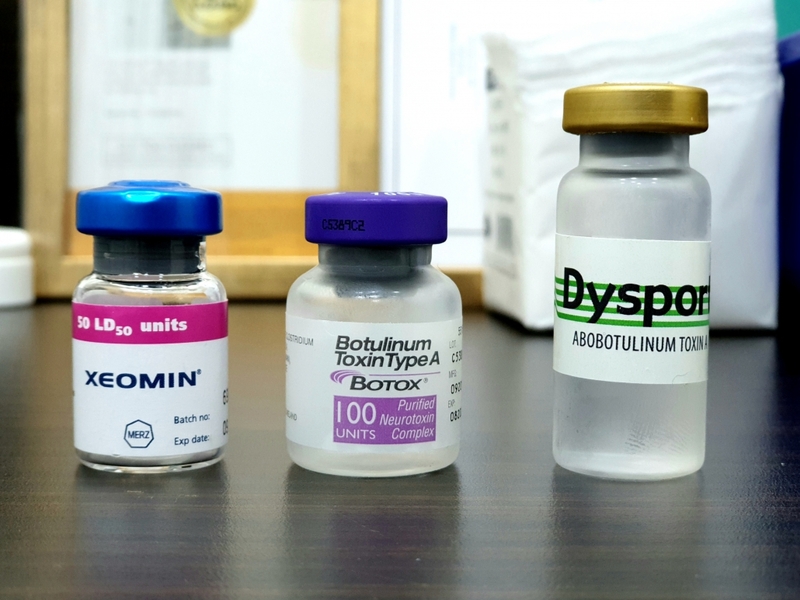 Currently in Singapore, there are 3 approved brands of Botulinum Toxin A to be used for medical and cosmetic purposes – Botox, Dysport and Xeomin. Most people say Botox because it is a common household name. It is like how people generally call all portable cassette device as Walkman (if you remember) and all diapers as Pampers. For the purpose of this discussion, I am going to just use the term Botox. First of all, let me talk about the newspapers and media reports about this incident. Almost all of them started off with big and catchy headlines that implied Botox was the cause of death. But if you actually took time to read the articles, it was then mentioned that the medication used in the injection has yet to be identified. So was it Botox that killed the lady? The answer is : WE DON’T KNOW. But how many people actually read the articles after reading the headlines? To me, this has been disproportionately sensationalized by the media using big words like Botox and catchy headlines. It was not based on facts and evidence. This directly caused fear and confusion among the public overnight. Rumors and speculations started spreading like wildfire. We saw all sort of posts and messages on social media and Whatsapp over the last few weeks. Now, let us look at the fact. Reference: Omprakash HM and Rajendran SC. 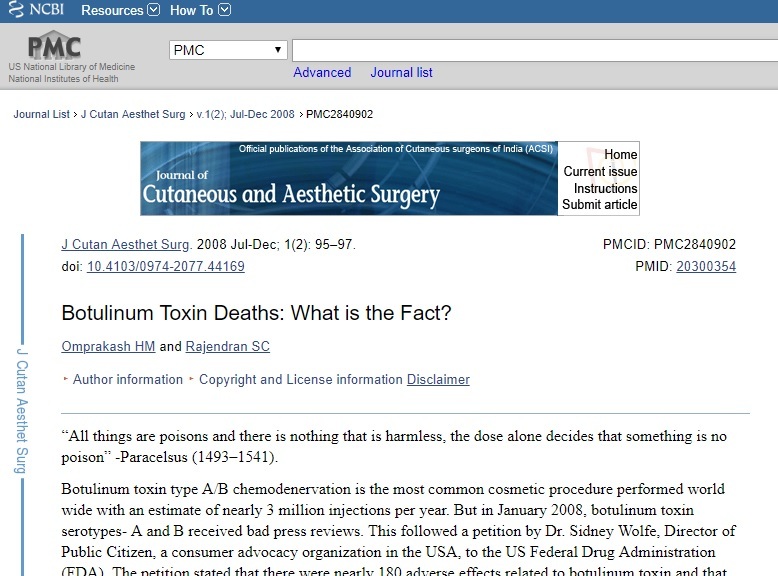 Botulinum Toxin Deaths: What is the Fact? J Cutan Aesthet Surg. 2008 Jul-Dec; 1(2): 95–97. It is true that every medication in the world, including paracetamol and Botox, can be harmful if dosage given was inappropriate. So how much Botox is dangerous? In order for Botox to be potentially lethal, a dosage of 6.25 to 32U/kg has to be administered. In a 50 kg adult, that is 312.5U to 1600U of Botox. To put things in perspective, the amount of Botox used on one patient for cosmetic purpose is approximately 4 to 60 U depending on the area of treatment. Rarely, it can be up to 100U. Even so, it is not even close to potentially lethal. Yes, if excessive amount of Botox is given. We are talking about a huge amount here that in cosmetic usage, it sounds absurd. No, if used correctly by certified doctors and if the Botox product is certified safe for cosmetic usage. Botox, if used correctly by certified doctors, is a very safe treatment. I repeat – used CORRECTLY and by CERTIFIED DOCTORS. These side effects are not serious and are usually temporary and self resolving. It is important to have Botox treatment done by a doctor so that any side effects can be managed appropriately. But how do I know if Botox is safe for me? Make sure the Botox you receive is one of the 3 brands mentioned above (in Singapore). If you have any doubts, don’t do it. What happened to the lady who apparently died from Botox? The short answer to this is – We do not know yet. But let us look at what we know so far. This 32-year-old lady went to an aesthetic clinic in Singapore for a treatment. She lost consciousness in the clinic. No reports of whether or not any aesthetic treatment was given prior to the event. Resuscitation was given by the doctor and the team in the clinic until ambulance arrived. She was taken to the hospital and put on life support. She was later pronounced brain dead, and passed away a few days later. Investigation is still ongoing. Cause of death is not known so far. In other words, we will need to wait for the outcome of the investigation and autopsy. 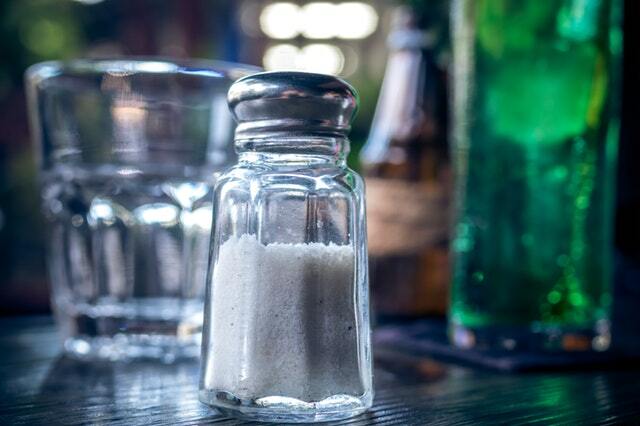 In the mean time, rumors and speculations are to be taken with a pinch of salt. In this short article, I have answered 3 questions that I have been asked daily for the last few weeks. It takes a ridiculous amount of Botox to be lethal. Botox is safe if used correctly by certified doctors. We do not know what happened to the lady until the outcome of investigation is available. Lastly, my heart goes out to the deceased, her family members and friends. Let us all practise respect, love and dignity by not sharing all these baseless rumors, whatsapp messages and social media posts. 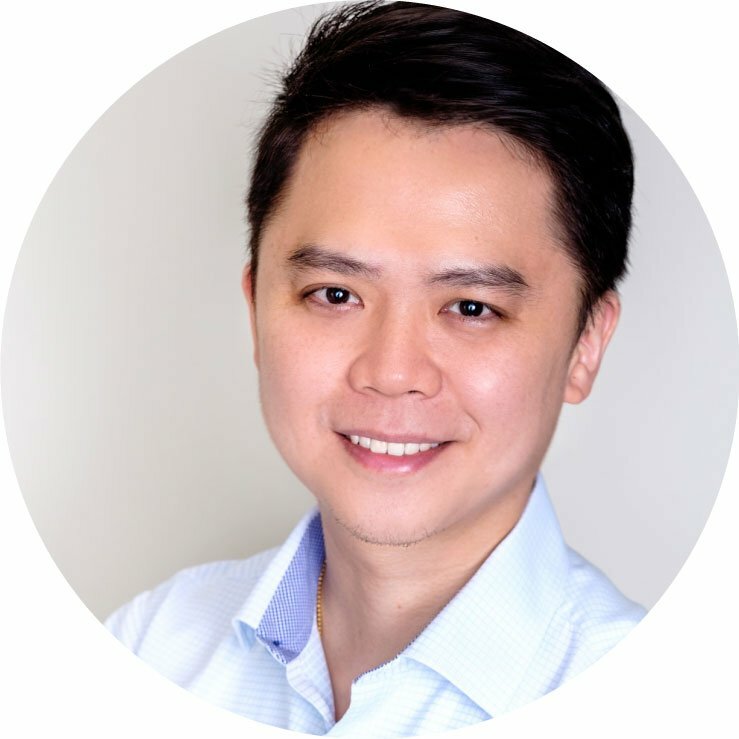 Dr Sii is a medical aesthetic doctor in S Aesthetics Clinic, Singapore. He is passionate in educating the public about medical aesthetic procedures, skin care and anti-ageing treatment. Information provided in this article is for reference and educational purposes only. It does not replace actual medical advice and consultation with your doctor.